Since November 2012, the Germany Telekom finally has a successor to the first generation LTE router “Speedport “. Simply, the name of the new 4G router is “Speedport LTE II”. What are the advantages and what are the differences to “Speedbox”? Answers to these questions can be found in the following article, including a detailed summary of all key data for Speedport II LTE Router. The Speedport II with the new “Call & Surf via Funk” tariffs was launched in early December 2012 by Telekom. The router in LTE category 3 mode provides up to 100 Mbps download speed and capacity of 50 Mbps in upload. In addition, the Speedport II LTE is backward with 3G network, ie UMTS and HSPA (including DC-HSPA+). Earlier, the Telekom supplied from two different hardware versions, depending on what had just technically available at the customer network. A further improvement to the old port speed is the WLAN module. The new Speedport II now supports the latest “N” standard. Thus, home networks can reach via radio with up to 300 Mbit/s speed. There are also improvements in range and Wi-Fi reception. This is according to the manual, in confined spaces, up to 30 meters or outside up to 300 meters. There are 4 RJ45 ports with up to 100 Mbps. 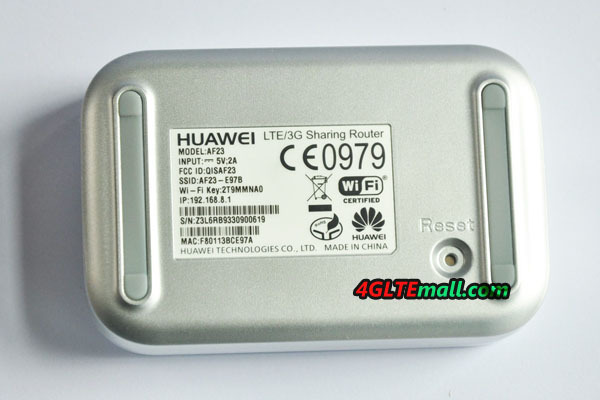 Under the white label, it indicates the manufacturer model is Huawei router with the ID “B593u-12“. The previous Speedport LTE dominated only in the band of 800 MHz; the second version is now much more flexible. Besides the already mentioned backward compatibility, LTE band 7/20 (1800 and 2600MHz) is supported. Therefore, the Telekom in some regions also provide up to 100 Mbps data rate by Call & Surf via Funk (L) for the first time. Both variants for Telekom 4G Router are confusingly similar, not only on the name. Technically, there is also almost identical design. But: When Speedport II is GSM (2G) not connected, so that the Call & Surf tariffs only run via 3G or 4G. The Speedport LTE II is in white, while the Speedbox is packed in a black case. 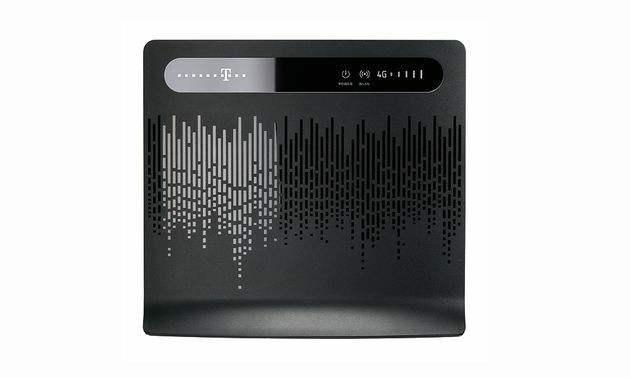 The router can be purchased in the 4G shop (www.4gltemall.com) for around 399USD. And it’s SIM unlocked, if you want to change to Vodafone 4G network, you will not need to change another router. At Germany Telekom, there will soon be a successor to the “LTE Speedport “. As a new and upgraded 4G LTE router, the Huawei B593 is now presented by Telekom to public. Compared to its predecessor B390S-2, there are many improvements that are summarized below for you. 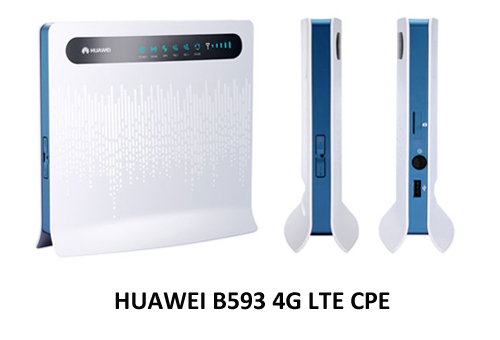 In addition, you can have a general overview about the specification and features of the HUAWEI B593 LTE CPE. As usual, the routers for Telekom and Vodafone are in difference label. To identify the devices, the appearance of the router is usually slightly modified (eg, color or some ports) and the logo of the mobile provider is customized for respect providers. 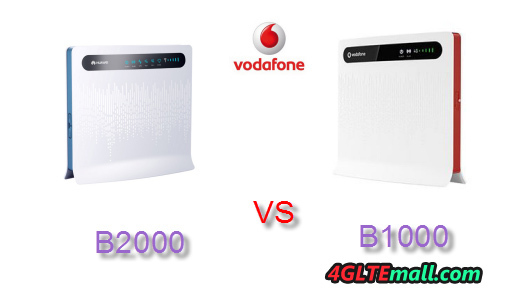 The Speedbox LTE is in black color like Speedport LTE, while Vodafone B2000 is in white. But actually, they are the same model from HUAWEI B593, more accurately, the model number is B593u-12 LTE CPE. From the label on the back of the router, we can see the details. 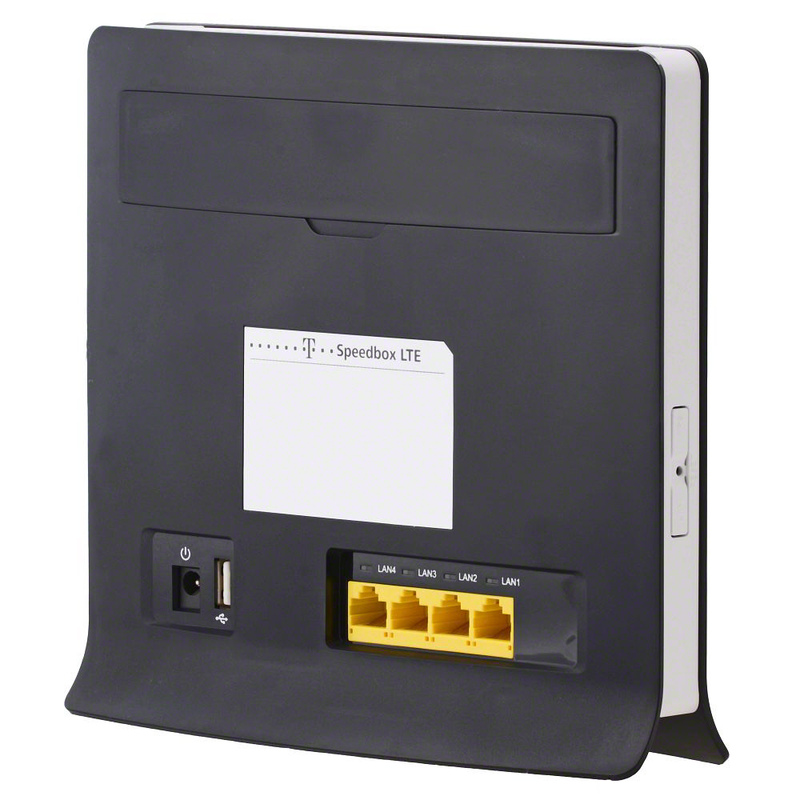 The previous model Speedport LTE still belongs to the first Generation of LTE routers which were available in late 2010. Unfortunately, accordingly to the feedback from users, the Speedport LTE is not successful 4G equipment. LTE terminals were still scarce; therefore it had to be functional. The new version Speedbox LTE finally brings long overdue with new features and improvements. 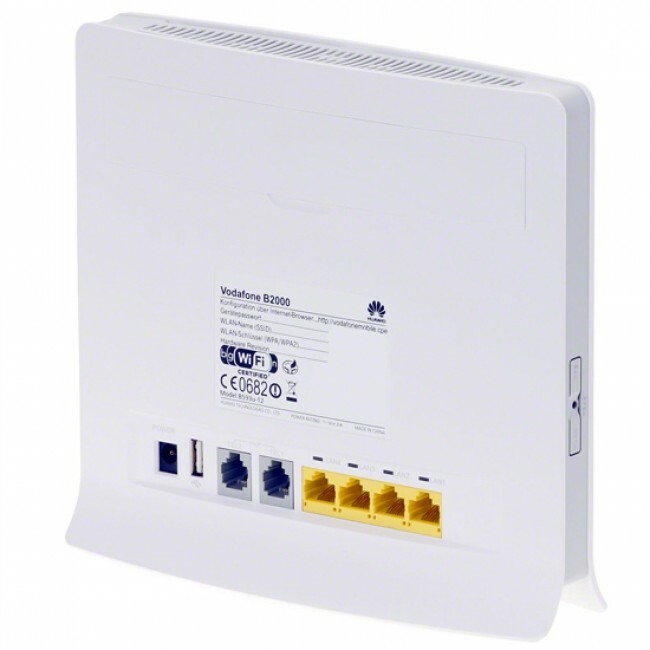 First, the Speedbox is also backward compatible with 3G and 2G networks. This is important in case LTE is not available around. This features help Speedbox automatically revert to the next fastest standard. Previously, customers had to unfortunately live with a total failure, because the fall-back function was not anticipated at the Speedport. 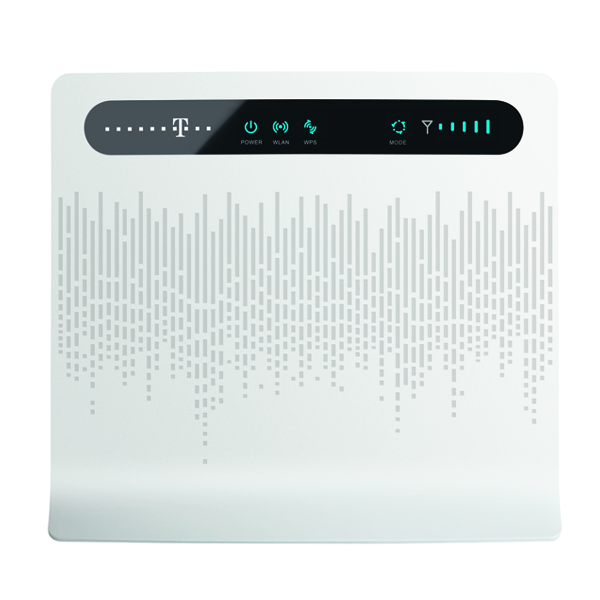 In addition, the router B593u-12 now dominates the LTE frequency bands at 1800 MHz and 2600 MHz. 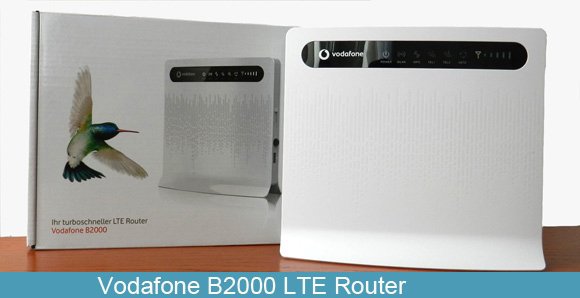 The predecessor was only designed for LTE800, ie designed for rural areas. The maximum data rate of HUAWEI B593u-12 is doubled to 100 Mbit/s downstream and 50 Mbit/s for upload. Beyond is a new USB port and connection for phones. Both analog telephone and VOIP should be possible. Since, as already mentioned, the old Speedport is only capable of a wireless standard that Telekom provides far from two different modes. When choosing between the “Speedport LTE” and “Speedport HSPA”, the router Speedbox will choose depending on which standard is more available to the customer. 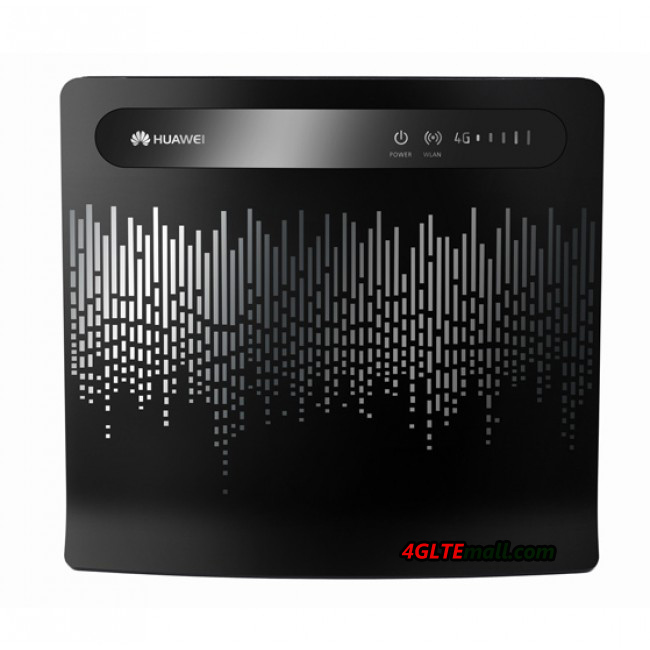 This features is smart for the users who are not familiar with 4G Routers. The Speedbox is available in the Telekom retail stores and online store www.4gltemall.com without LTE contracts. Many users prefer unlocked Speedbox, or more honestly, they would choose the factory model HUAWEI B593u-12 because they are just logo or appearance difference, functions are all the same and original factory model is SIM free for any operators. 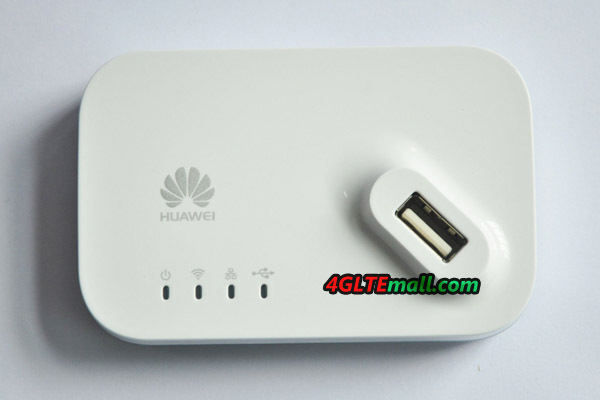 After long time waiting, finally we get the Huawei AF23 LTE sharing dock today. Many clusters are eagerly looking forward to getting the New LTE sharing dock. Let’s have a review for this AF23 LTE Sharing router. 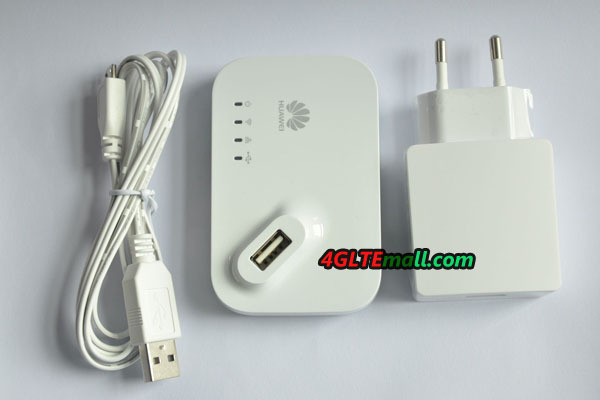 Like other Huawei 4G modems, Huawei AF23 is in original new box. There is plastic cover to see the AF23 directly from outside of the box. It’s in white color and looks very mini size. And at first glance at it, we are attracted by the USB slot on the face of AF23. Open the package box, we can see the AF23 and one USB cable. Below the USB cable, it’s the power adapter. When we touch the Huawei AF23, we found it’s smaller than its predecessor Huawei D100. There are 5 indicators on the top face, besides the indicators, USB slot is there. Users could plug 3G or 4G modems here to change the 3G modem work like a 4G Wireless router. 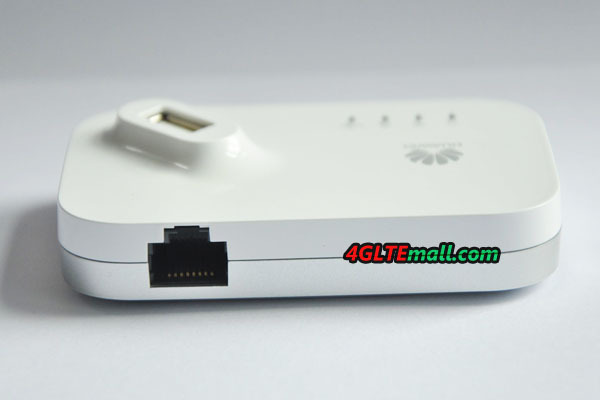 At one side of Huawei AF23, there is an Ethernet port for connecting the network cable. So it could also change WLAN to WiFi. 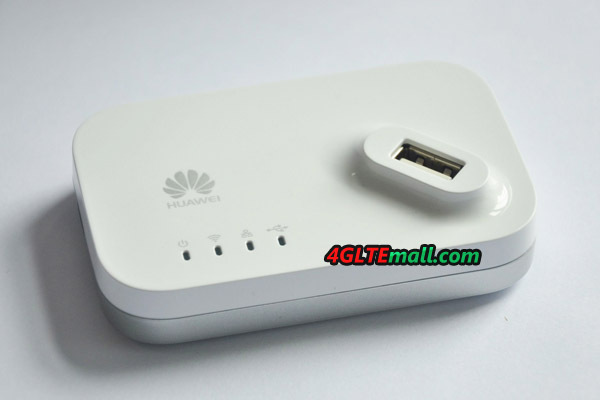 Jusst like the already available 4G LTE CPE Huawei B593u-12, HUAWEI AF23 supports maximum 32 users to access network. 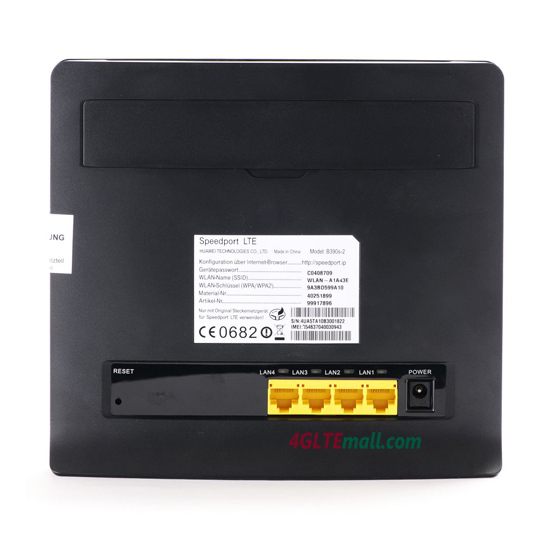 On the back of Huawei AF23, there is a stick indicating the information about model number AF23, Power adapter information, FCC ID, SSID, Wi-Ki Key and IP address. And we can see the S/N and MAC number. There is logo of CE and RoHS, WiFi certified. At the side of the stick, there is the reset hole. 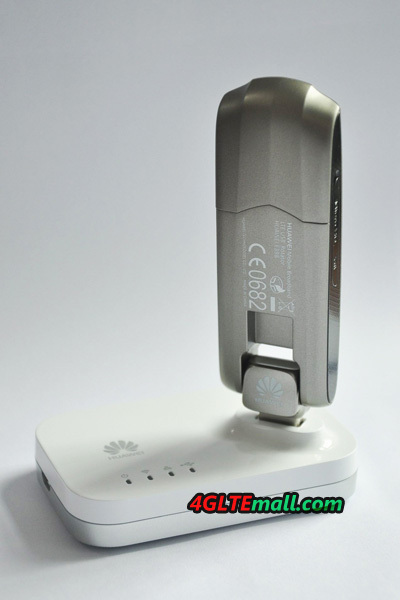 We had tested it with the HUAWEI E398 4G LTE USB Modem, and we will presents a report for HUAWEI E398 with the HUAWEI AF23 LTE Sharing Router.